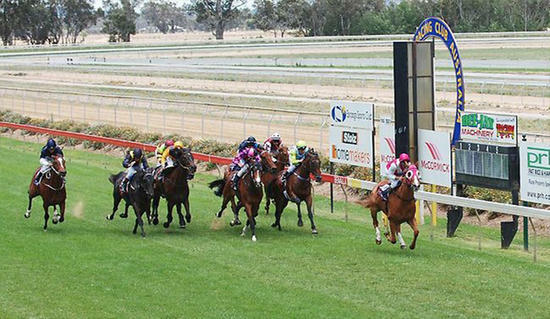 Two stable runners have accepted to run at Benalla on Friday, April 27 with fine conditions forecast racing on a good (4), with nine events to be run. Race (1) will see the DKM builders two-year-old maiden plate over 1106 m with a career first starter in Banger to be ridden by Nick Souquet jumping from barrier six in a field of 10. Banger is a two-year-old Bay or Brown gelding by Shrapnel out of Beautiful Sound and was last seen competing in a barrier trial on April 17 at Tatura finishing third of 6/850 m with Nick Souquet aboard arriving 3.75 lengths behind the heat winner, Unfair Dismissal. Wyangle will compete second up from a spell in the Bet365 benchmark 58 handicap over 1206 m with Nick Souquet aboard the runner jumping from an awkward barrier 11. Wyangle is a 4-year-old Bay gelding, who has won one from three and was last seen at Albury finishing fifth of 12 with Ms Nikita Beriman aboard arriving 2.02 lengths behind Another Sin in a class 2 handicap. Best of luck to all connections on Friday at Benalla.